Not mine, but would love to build somthing like this one day! Looks cool just not a fan of short wheel base for off road use. I wonder if they kept the AC in that thing. 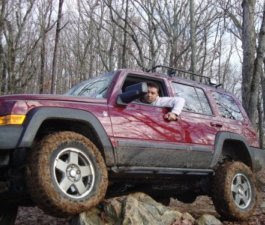 2007 Jeep Commander: QTII, Leather, Sunroof, remote start, OEM Skid Plates, 2 in Daystar lift, 255.75.17 BFG Mud Terrains on Moabs, 1.25 " Spidertrax wheel spacers, 4x Guard front guard and Side Guards, Optima Red Top, Robbys half inch leveling spacer, Bilstein 5150 Rear Shocks, Pinch weld mod and trimming! Now I have to start building on mine again! 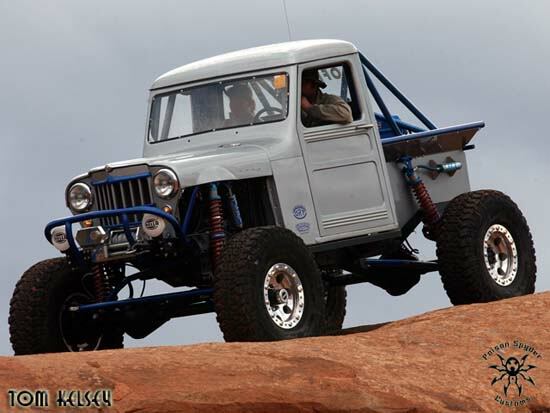 Great looking willy. I need to post pic's of the 2 that we have in the family. First shots of 2011 with nice weather! !